We spent our last 3 days in Hawaii in the Kohala Coast area of the Big Island. We stayed at the Hilton Waikoloa Village. I'm not sure how I feel about this resort. On the one hand, it was probably the nicest wheelchair accessible room we've ever had. On the other hand, our "water view" room was a ground level view of a sliver of the lagoon & a walking path from which people walking could see into our room. Also, from the lobby, it was a 6-7 minute walk to our room in the Lagoon Tower (walking at SP's quick pace). The first 2/3 of the walk was on flagstone, so it was very bumpy & uncomfortable for me, plus hot because it wasn't inside/air conditioned. The last 1/3, the carpet part, it was very plush carpet, so the wheelchair really sank into it and SP had a hard time pushing me and I swear the hallway wasn't air conditioned. It was stuffy and we always ended up extra sweaty. I have no idea why the building/rooms were so far from the lobby. Or why they put a mobility accessible room the entire length of the Lagoon Tower away from the elevators. Basically, we had to backtrack to get to our room because the genius architect only put elevators on the far end of the building, not in the middle or on both ends. The walk was awful & we hated it. The day we arrived, we had spent 7-8 hours traveling from Hilo to Kohala, stopping at the Botanical Gardens and some other sights. Check in took a while & then we were very unhappy with our room view since we were paying extra for a water view, so we tried to change rooms, but that didn't work out because the genius front desk clerks didn't seem to grasp that we needed a wheelchair room, so we went to our room, then another, then back to the original. It was hot and we were annoyed. So it's a good thing we had made dinner reservations for 6:30 pm at one of the resort restaurants because we weren't settled in our room until nearly 6 pm, we had to freshen up, and we had to figure out where exactly the restaurant was. I would not have been happy if we had to get back in the car, drive somewhere, and find a place to dine on Saturday night. 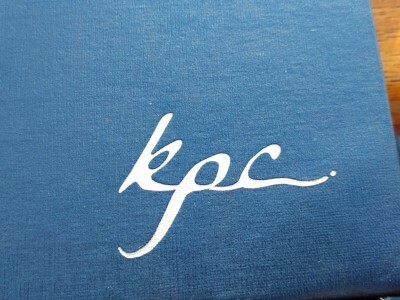 We had decided to try Kamuela Provision Company because of the view. We made reservations for 6:30 so that we would be there for sunset. 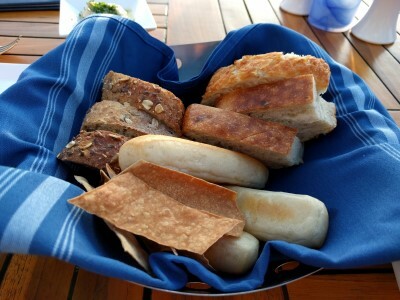 The bread basket. I especially liked the crisp, crunchy, cracker like thing in the front/left part of the photo. Neither of us remembers what this is. It doesn't look like any of the menu appetizer descriptions. SP thinks it was a special but he doesn't remember what other than probably fish. I don't have a receipt for the meal. 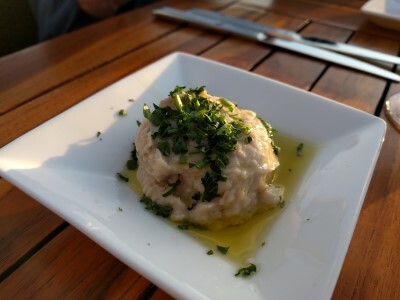 So, let's go with some kind of special fish appetizer. 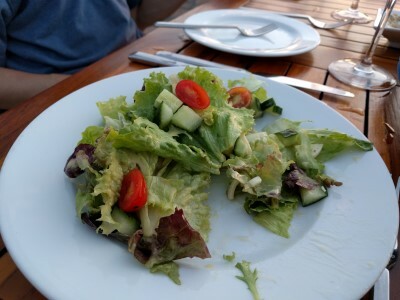 We shared Keala’ola Farm Organic Local Greens (baby field greens, cucumber, radish, carrot ribbons, Hamakua cherry tomatoes, Big Island heart of palm, kalamansi vinaigrette). This was a good salad. I rememebr really liking the dressing. 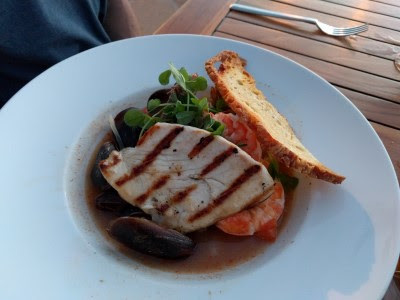 SP's entree: Pacific Seafood Bouillabaisse (grilled Kona kampachi, mussels, clams, Kauai prawns, saffron fennel broth, herb crostini). red wine beer jus, Italian parsley, lemon vinaigrette). This was really good, especially the pasta. 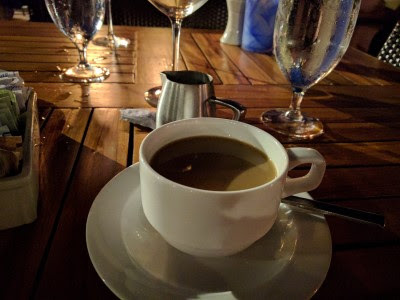 Kona coffee, the only kona coffee we enjoyed when we were in Hawaii. 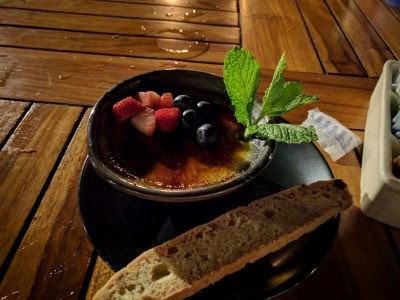 For dessert we shared Ka’u Orange Ginger Brulee (caramelized raw Maui Sugar, seasonal fruits). This was very good, too. We were a little skeptical going into dinner because it seems as if a lot of resort restaurants do not review very well. 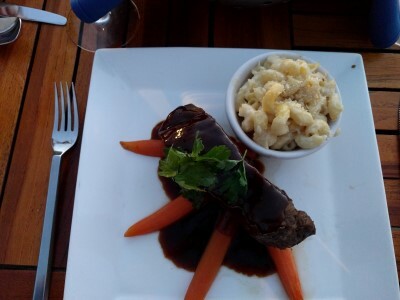 We were pleasantly surprised by how much we enjoyed our food. It was definitely pricey, but it's Hawaii and it was right along the ocean with a fantastic view. Our server was terrific and definitely didn't rush us but let us sit and enjoy everything. He even offered to take a photo of us, which was nice. We'd go back.